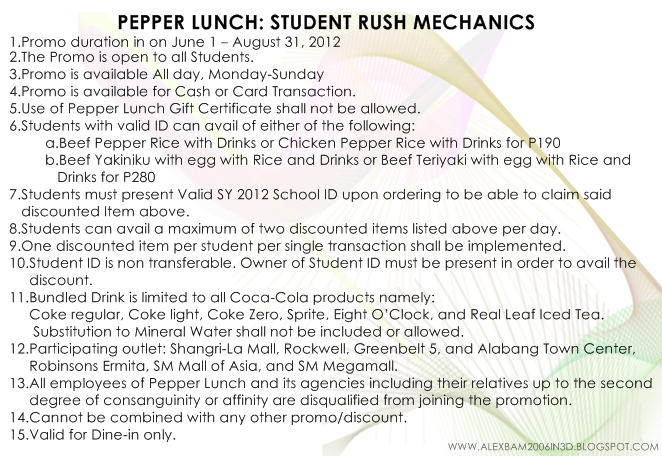 Back to School Treat from Pepper Lunch! It’s back to school season again this June, and aside from meeting new friends & new teachers at school, there’s also something to look forward in your nearest Pepper Lunch branch! Pepper Lunch welcomes the students of 2012 by making their after school events cooler thanks to Pepper Lunch’s STUDENT RUSH MEALS! From June 1 to August 31, 2012, Students from all over Manila can enjoy Pepper Lunch’s Beef Pepper Rice and Chicken Pepper Rice for only Php190! Pepper Lunch made it even better by including their Japanese Classics such as Beef Yakiniku and Beef Teriyaki with egg for only Php280! Best of All, All items are inclusive of drinks! Even Lunch breaks, School projects or simple barkada hang outs becomes more exciting thanks to the exciting back-to-school offers brought to you by Pepper Lunch! 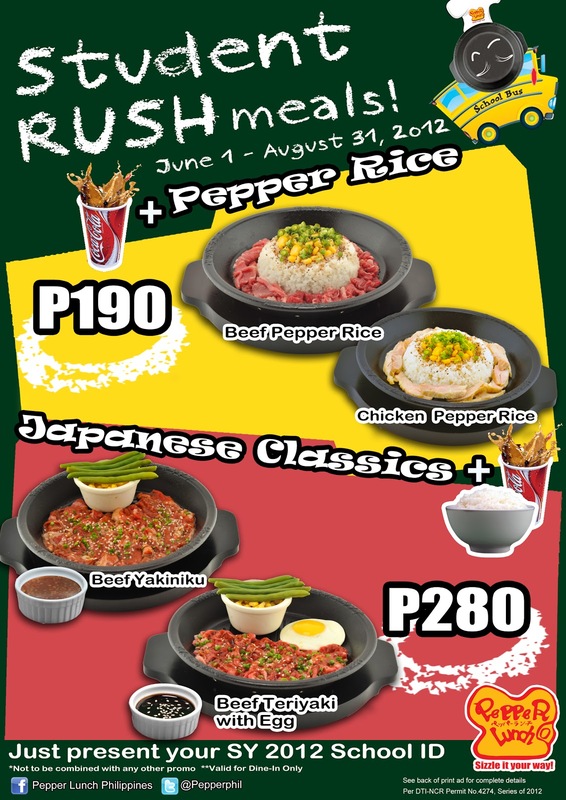 and experience the deliciousness of the Authentic Pepper Lunch! Follow Pepper Lunch on Twitter!